As an educator or teacher working for the early learning or school (K-12) sector, you’ll need to abide by teacher standards to gain accreditation and maintain it through continuing professional learning. Here’s an overview of what you’ll need to do if you live in the Australian states of NSW and Victoria. If you’re thinking of retraining as a teacher, give Teach for Australia a look in. It aims to fast-track people with industry experience into a teacher role. Over two years they are mentored, coached one-on-one and earn experience and a masters’ qualification to teach in high schools. First, there are two aspects of teaching that are common to all states – teaching standards and the working with children check. The current Australian Professional Standards for Teachers was released in 2011 and this 28-page document gives you all the detail you’ll need to get across them. They guide professional learning, practice and engagement and help teachers improve their quality as professionals. Since 2011, the Standing Council on School Education and Early Childhood approved a nationally consistent approach to many elements of teacher registration across the country. Read more about the Teacher Standards for Australia here. The Australian Professional Standards For Teachers are uploaded into Educa, available for linking to plans, stories or reflections as a way to build evidence of professional development. As a student, you would have gained WWCC clearance to do your placements, but your number will have the letter ‘V’ at the end for ‘volunteer’. To work as a teacher, you need to apply and pay for a WWCC and will be issued with a number that ends in the letter ‘E’ for employed. Check your state or territory for which authority issues this clearance – for example, in NSW, it is the Office of the Children’s Guardian and in Victoria, it’s this site. In Queensland passing your WWCC means you get a blue card by applying through this government website or go to this site if you’re working in South Australia. Check with your relevant authority, too, the deadline for updating your personal details if you move, for example. It could be similar to your driving licence where you have to notify the authority within three months of making the change. And you’ll need a police check, too. Once you hold a WWCC clearance, you need to update your contact details such as any name or address changes, within three months. You’ll be penalised if you don’t. Before we delve into the details for each state, here’s a nifty overview from the Australian Children’s Education & Care Quality Authority. It gives you a one-page guide to whether you, as an early childhood teacher, need to be registered by your state or territory authority. 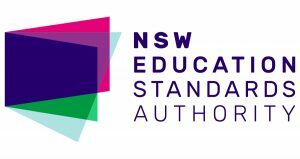 Early childhood and school teachers need qualifications from government-approved universities to gain their accreditation through NSW Education Standards Authority (NESA). This PDF flow chart explains the process to become a provisional/conditional teacher, then a proficient teacher and how to maintain that and volunteer to achieve higher levels such as a highly accomplished teacher or lead teacher. While an undergraduate, teachers need to sit and pass the Literacy and Numeracy LTest for Initial Teacher Education. As a graduate teacher, you apply to NESA through the eTAMS portal to be accredited as a provisional/conditional teacher in any NSW school or approved centre-based early childhood service. The clock starts ticking – you have a time limit to achieve accreditation as a proficient teacher. This involves securing a principal/director to supervise and mentor you through the process although you’ll be the one collecting and annotating evidence that links to the professional teaching standards. All provisional/conditional and proficient teachers and those higher up the ladder as teachers must pay NESA a yearly $100 accreditation fee. That annual fee is payable whether you’re a provisional or proficient teacher. So, what’s the maximum timeframe to move up to becoming a proficient teacher? Provisionally accredited teachers have three years from the date they are accredited if they’re employed full-time or five years if they’re working part-time or casually. Conditionally accredited teachers, meanwhile, have four years if working full-time or six years if they’re working part-time or as a casual. A conditionally accredited teacher is one completing a NSW teacher education course. They also need to pass an approved literacy and numeracy test to become provisional. That’s just in case you missed that three paragraphs up. You can ask for leaves of absence if there are work breaks. This would allow you to extend the deadline date by which you need to be accredited as a provisional teacher. You submit this material online through eTAMS. As for casual and part-time teachers, NESA has a specific page with information for you. It includes web-based info, an evidence guide and program of online and face-to-face info sessions. Casual and part-time teachers are “allocated additional time and flexibility to meet Proficient Teacher Accreditation requirements”, says a NESA spokesperson. Although the accreditation supervisor writes a teacher’s Proficient Teacher Accreditation Report, the teacher collects and annotates evidence for it, says NESA. The principal “may review” the report before forwarding it to the school’s Teacher Accreditation Authority (TAA) for approval. In the public school system, the education department secretary delegates that role to school principals. It’s usually a four-week turnaround time for the decision. The report, including the annotated documentary evidence, should be no more than 10MB or 35 single-sided pages. You’ll need to do at least 160 days of casual/block teaching. NESA’s Proficient Teacher Accreditation Policy says those days don’t all need to be a single block in the same school for a TAA to make an accreditation decision. However, a NESA spokesperson says that those teachers who’ve taught across several schools, should consider notching about 200 days of teaching. 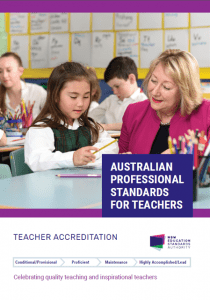 Once fully accredited, NSW teachers need to do 100 hours of ongoing (accredited) professional training over a 5-7 year cycle to maintain their accreditation. For more information, explore NESA’s Proficient Teacher Accreditation Policy here issued January 2018. Just a word here that each year approximately 5,000 teachers graduate yet the NSW education department will only hire about 600 permanent school teachers. That means many teachers will work as casuals or do temporary blocks potentially for many years, even decades. If you are a casual teacher, aim to find a ‘base’ where you are doing regular or at least semi-regular work to ask the principal to help you become accredited. You may be rebuffed as lead teachers and principals endure a heavy administrative load or they are ramping down to retirement. Don’t give up. Be professional yet persistent in securing a ‘sponsor’ as such to guide you from provisional/conditional to accredited teacher. To become a teacher in Victoria, you’ll need to study and secure the right qualifications first up. The Victorian Institute of Teaching (VIT) is your go-to authority to register as a teacher for in the early childhood or school sector. You’ll need to set up an online MyVIT account to do so. While an undergraduate, teachers need to sit and pass the Literacy and Numeracy Test for Initial Teacher Education. This flow chart shows how to move from provisional to full registration. You need to teach for at least 80 days in one or more Australian/New Zealand schools or early childhood services and present evidence of professional learning using an inquiry approach. You’ll have two years to submit your evidence to become fully registered. As a provisional school teacher, you’ll need to take an inquiry process approach in gathering and submitting your evidence of practice. This resources and seminar information page will guide you. Meanwhile, early childhood teachers can use the six illustrations of practice as examples in how you can tackle evidence-based inquiry approach in an early learning setting. VIT and the Australian Institute for Teaching and School Leadership (AITSL) have produced this resource. Check out VIT’s Supporting Provisionally Registered Teachers guide to the (full) registration process. A senior teacher (a mentor/experienced teacher) ideally who’s completed an effective mentoring program can help you with this. If you’re an early learning teacher, the ‘Connecting with a mentor as an Early Childhood Teacher’ section on this page will guide you. There’s even a map showing where mentors are if you haven’t one available in your service. Once you have your evidence report ready, your school’s workplace panel will consider it to ensure you’ve met the proficient teacher standards. This panel comprises your principal or their delegate as the panel chair, a registered teacher who’s taken part in an accredited mentor training program and one of your teaching colleagues who you’ve nominated and knows your work. As for early childhood teachers, this NESA page will give you the lowdown and a video to explain what you need to do. The panel looking at your evidence report will comprise a registered early childhood teacher, another who’s taken part in the accredited mentor training program and another teacher you’ve nominated and who knows your work. A two-person panel in an early childhood setting is allowed in certain circumstances. After the panel meeting, the report is submitted online to the VIT for consideration. It’s free to do so. There’s no maximum or minimum word count for your evidence report. If you’re not able to submit your report within two years of becoming a provisional teacher, you can re-apply – that is, submit a new application to become a provisional teacher. If you’re likely to take a career break or haven’t been able to find work, then consider changing your registration to a “non-practising teacher”. Also look into the ‘Permission to Teach’ (PTT) category if you aren’t registered as a qualified teacher. The PTT allows you to do short-term work as a teacher taking part in a school’s curriculum program. It costs about $128 to initially register (with Victorian qualifications) as a teacher and just over $95 for the yearly registration. That annual fee is payable whether you’re provisional or fully registered. As a registered school teacher or early childhood teacher, you’ll need to do at least 20 hours of professional development each year. This development should be referenced to at least one standard such as professional knowledge, professional practice and professional engagement. At June 2017, Victoria had 45,717 teachers overall of which 25,055 were full-time, 10,038 part-time and another 10,624 who were ‘fixed term and casual employees”, according to the 2016-17 education department annual report. However, these figures also include ‘paraprofessionals’ and TAFE teachers, but not those in the early learning sector. To teach in Queensland, this government site gives you the overview and you’ll need to register with the Queensland College of Teachers (QCT). For an outline of the fees applicable at whatever stage of your teacher career you’re at, see this page. Here’s the Teach Queensland page on applying for provisional and then full registration. QCT offers a one-page guide to moving from provisional to full registration. In short, you’ll need to have taught “satisfactorily” in a school or other acceptable setting for a year, notching 200 days, and have met the teaching standards. You may have gained that experience in a school in Queensland, elsewhere in Australia or New Zealand. Here’s more information about other settings including TAFE. Meanwhile, a provisionally registered early childhood teacher would be delivering an education program to learners in the year immediately before the preparatory year for a whole year (200 days) and meet the teaching standards. See this page for more information about how this experience will help you gain full registration. Visit the Teachers’ Registration Board of South Australia as your first step here. To ensure you have an eligible qualification to gain provisional then full registration, study this page. And for fees, visit this one. You can apply for full registration once you’ve completed 200 teaching days in the school or early learning sector within the past five years in Australia or New Zealand. This is the web page to start making that happen. You’ll need to have shared with an evaluator evidence that shows proficiency in each of the seven Australian Professional Standards for Teachers. Here’s a two-page PDF to pace you through the process. An important note for those planning to take career breaks or leave(s) of absence while registered as a provisional teacher, it’s not open-ended. The nationally consistent approach to teacher registration means that in South Australia you can only be provisionally registered for a maximum of two 3-year terms. The ACT Teacher Quality Institute is your ‘go to’ site to find out more about professional registration as a teacher in that state. That page also guides you on applying for registration and as a graduate or how to transfer your registration from elsewhere in Australia. This page will guide you on the fee structure. Here’s what’s involved from moving from provisional to full registration and you’ll find more support by logging into your account on the TQI Teacher Portal. The TQI says you need to do at least 180 days of teaching in an Australian or New Zealand school and have taken part in a work-embedded assessment process at a school(s). Each year you need to do 20 hours of “reflected Professional Learning” to maintain your registration. You must also abide by the Code of Professional Practice and Conduct for ACT teachers. In the ACT, preschools have been integrated within primary schools. There is a range of preschool to year 10 schools. You don’t need to register as an early childhood teacher if you’re working in NQF settings that are not attached to an ACT school. If you’re teaching in NT, the Teacher Registration Board of the Northern Territory is your starting point. This is the link to log into the TRB portal for teachers. You’ll find info about the initial and annual fees here. School teachers register as provisional then work towards full registration. You’ll have three years as a provisional teacher to make that happen – this page guides you on the process as does this video. It’s very detailed on the evidence you’ll need and possibly sets it out better than any other state or territory. There’s even a Recommendation Report Exemplar (scroll to the bottom of the page) for early childhood and primary here to give you insights into what you should be aiming to achieve. Use the website or download this 12-page PDF for all the steps in the process. Only early childhood teachers who work in preschools attached to schools need to be registered as an employment condition in NT. Early childhood teachers, as well as teachers in rural and remote settings and casual teachers are encouraged to complete a TRB survey before 12 October 2018. All early childhood teachers as well as school teachers working in WA need to be registered with the Teacher Registration Board in that state. However, if you’re a “care giver in a childcare centre”, you don’t need to be registered as a teacher, the board says. If that confuses you, visit this page, which is just for those working in the early childhood sector. You’ll find the board’s Conditions of Registration Policy here and this is the fees page. This page starts you on your registration journey as a provisional teacher. You can apply as long as you’ve graduated with a teaching qualification in the past five years from an accredited institution. You’ll find links to various forms here to apply for provisional, non-practising, limited or full registration. To move from provisional to full registration in WA, you need to have taught for a minimum of 100 days in the previous five years in a WA, Australian or New Zealand school. Find out more from this page, which asks you to log in to the TRBWA teacher portal. To register as a teacher in this state, apply to the Teachers’ Registration Board of Tasmania, which also has a Facebook page. You only need to register as an early childhood teacher in Tasmania if you’re working for a kindergarten that’s part of a school. This page shows you the schedule of fees. Download this 14-page PDF or watch these videos if you’re looking to change your registration category, such as from provisional to fully registered. You’ll need to submit teaching proficiency evidence linked to the national teaching standards. That evidence needs to be from your teaching practice within the past five years. In Tasmania, you’ll need to teach for a minimum of 185 days with one or more employer to gain this evidence towards your application for full registration. Teacher registration is granted for up to five years – called a cycle of registration. You pay an annual fee – this page shows you the schedule of fees. You have to reapply for registration at the end of the five-year period. Once you are accredited, there are requirements to maintain your registration. To learn more about the rules and to see a list of free and paid options click our comprehensive summary of ECE professional development here. To learn about Australia’s EYLF and related topics, read out overview here.